We've covered GoBank (and its competitor, Simple) rather extensively here at AP, but up until now, the service was invite-only. You may have seen GoBank's #gimmegobank campaign across Twitter for those who were seeking an invite, but as of today, the online-centric bank exits its beta program and is available for everyone. During my time testing out the service, I was extremely impressed with how feature-rich and well thought-out the app was, as it allows essentially every aspect of the service to be tweaked and/or modified without ever touching a computer. It also features an intuitive bill-tracking system that allows you to keep up with your monthly responsibilities and better manage your finances. 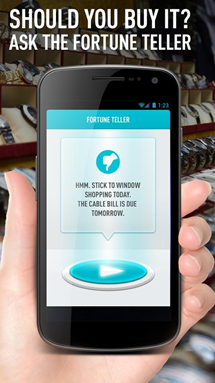 There's even a "fortune teller" feature that helps you decide whether or not you should make a specific purchase. Overall, GoBank has proven itself to be an excellent service, and is a step in the right direction towards completely mobile banking. If you're interested in giving it a shot, you can sign up here or simply wait for the updated app to hit Google Play later today. Previously in beta, GoBank™ (@GoBank) is now generally available – anyone can open an account on the app from the Apple App Store or at GoBank.com; Update coming to Google Play soon. New retailers on board for promotional distribution include Barnes & Noble College bookstores (in addition to previously announced Rite Aid). National partnership formed with MetroPCS to distribute the GoBank mobile application across MetroPCS’s compatible Android device portfolio. 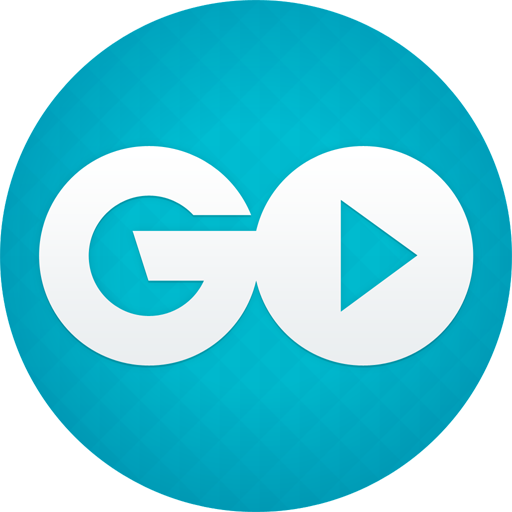 Lifetime’s “Project Runway” will feature GoBank in its 12th season, which premieres July 18. PASADENA, Calif.--(BUSINESS WIRE)--Ushering in the next generation of consumer banking, Green Dot Corporation’s GoBank (NYSE: GDOT) today announced it is open for general availability. Since January, GoBank has been an invite-only service for beta members. A GoBank account is an FDIC-insured bank account that is specially built for the smartphone generation—designed from the ground up to be opened and used on a mobile device. Beginning today, anyone can sign up for GoBank on the app for iPhone or iPod Touch (available for download from the Apple App Store) or at GoBank.com (by clicking or tapping ‘JOIN’). GoBank is one of the few banks that let users sign up for an account right from a mobile app. “Creating GoBank, the world’s first bank account designed to be used entirely from a mobile device, has been a labor of passion for everyone involved in the project. GoBank seeks to reinvent the traditional checking account in two key ways. Firstly, GoBank is a feat of technology that brings traditional bank accounts into the era of the app. Secondly, GoBank is a feat of consumerism that offers consumers a wide array of features and services with fair, simple and transparent pricing. We’re very proud of the product and are hopeful that consumers will be attracted to GoBank’s high tech/low price proposition,” said Steve Streit, founder and CEO of Green Dot Corporation (GoBank’s parent company). GoBank has formed a national partnership with MetroPCS to distribute the GoBank mobile application across MetroPCS’s compatible Android device portfolio. Also, leading up to July 4, GoBank will begin in-store promotions for GoBank. Rite Aid promotions are the first to launch, shortly followed by Barnes & Noble College bookstores and other previously announced retailers. Store partners will feature information on GoBank that includes an offer for a free custom GoBank debit card with the member’s choice of photo (a $9 value). To generate high-impact consumer buzz, GoBank will also be featured as the official financial sponsor on the upcoming 12th season of Lifetime’s “Project Runway,”premiering July 18. Throughout the season, contestants will utilize GoBank accounts showcasing the slide for balance feature, Fortune Teller, debit cards and person-to-person money transfers. Additionally, GoBank will be digitally distributed by a number of companies, including WePay, Check, Tango Card and Rewardable. Massive ATM Network: With one tap, members can locate fee-free ATMs in their immediate area among the GoBank network of more than 42,000 locations nationwide. We Work for Tips: GoBank puts the power in the hands of its members, offering a “pay what you want” model, where members can elect to pay anywhere from $0 to $9 for their monthly membership fee (like a monthly tip). GoBank members get all of the same account features regardless of the amount they decide to pay GoBank every month. The other fees on the account are limited to a 3% foreign transaction fee, out-of-network ATM fees ($2.50 for a withdrawal and $1 for a balance inquiry), and if the member wants to customize their debit card or order a replacement custom card, it costs $9. No Overdraft or Penalty Fees: GoBank has no overdraft fees and no minimum balance. The full overview of its simple fees can be found at GoBank.com/NoWorries. Peek at Your Balance Without Logging In: The #1 reason a person logs into their bank account is to check their balance. GoBank allows members to use “Slide for Balance” on the app’s login screen to take at peek at their available balance without logging in (members opt into this feature). 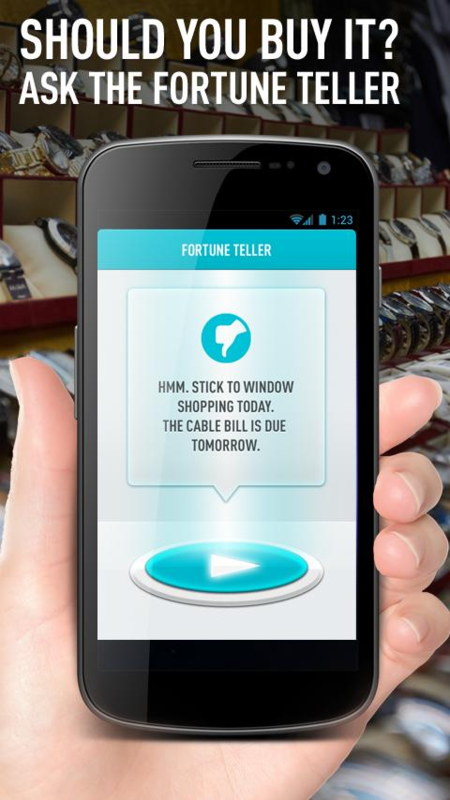 Advice on Spending from the Fortune Teller (TM): “Remember that time you won the lottery? I don’t either.” This is a response a member might see from GoBank’s Fortune Teller if they try to spend beyond their budget. Fortune Teller cross-checks the price of an item with the member’s integrated GoBank budget, and if they can’t afford it they’ll be advised in real-time to pass on the purchase. Send Money Instantly: Members can instantly send money at no charge via email or text message. If money is sent to a non-GoBanker, the person has the option to open a GoBank account or move the money out to PayPal. Quick Account Set-Up: Compared to typically long processes associated with opening a traditional bank account, setting up a GoBank account can take just minutes. This includes the time it takes to create an optional custom Visa debit card with a member’s own photo. 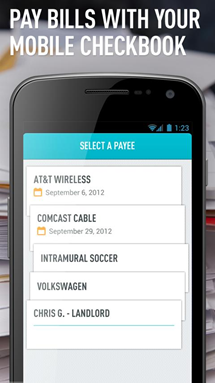 Check / Payroll Deposit: GoBank has a variety of ways to deposit money into the account. 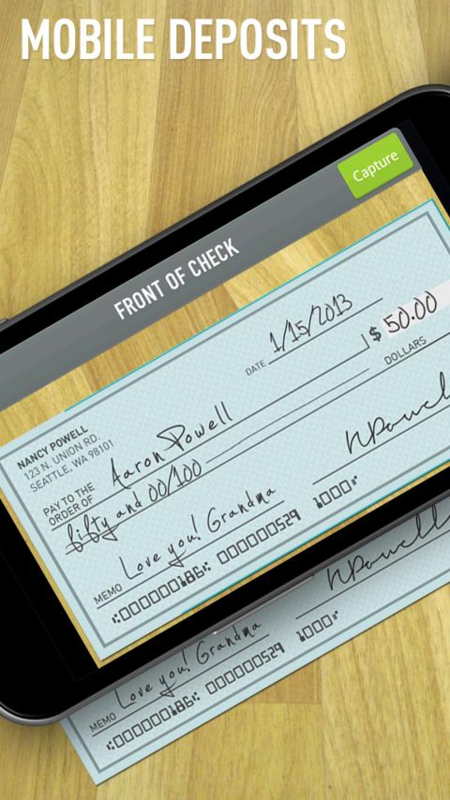 Members can deposit checks by snapping a photo through the app. Direct deposit is available for paychecks, federal benefits or tax returns. Adding Cash: GoBank members can add cash to their account at over 3,900 locations nationwide, by swiping their debit card. Mobile Checkbook and Bill Pay: Members can pay any company or any person online or on their phone, and GoBank will mail a paper check to any recipient that doesn’t accept e-payments. Money Vault: The Money Vault is an integrated bank account, with deposits insured by the FDIC, where members can easily put money away for savings. In real time, members can move money in and out for free. Robust Account Alerts: Members can fine-tune a wide range of notifications about their money to fit their needs – with alerts about specific transactions, as well as overall account updates.